Melanie Fiona fans will want to jump on this rsvp ASAP! Thanks to Verizon you can catch her perform for free. 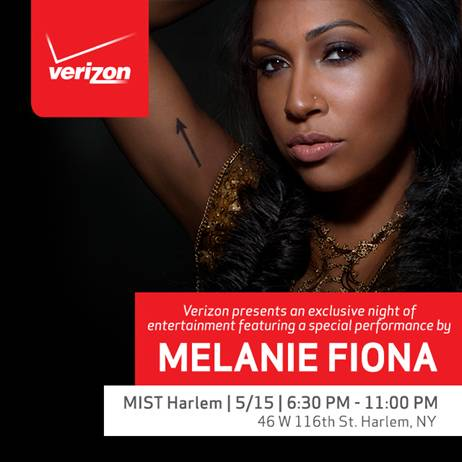 Tags: Harlen, Live Music, Melanie Fiona, Verizon. Bookmark the permalink.